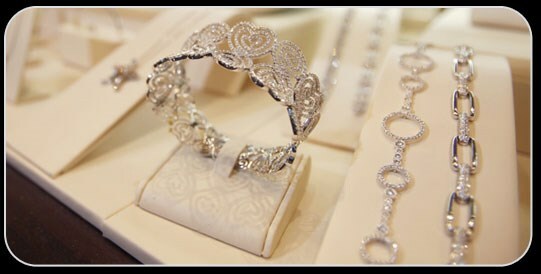 Albert F. Rhodes carries an expansive selection of diamonds, both in our Bridal and Fashion departments. We specialize in 14K and 18K creations, as well as platinum. By searching extensively for unusual and distinctive designs, we ensure you’ll find the perfect piece for your style and budget. With our broad array of fine color and diamond creations, we offer sizes and styles for every taste. We assemble emerald, ruby, sapphire, tanzanite, and many other precious colored stones with fine diamonds in a myriad of alluring styles.